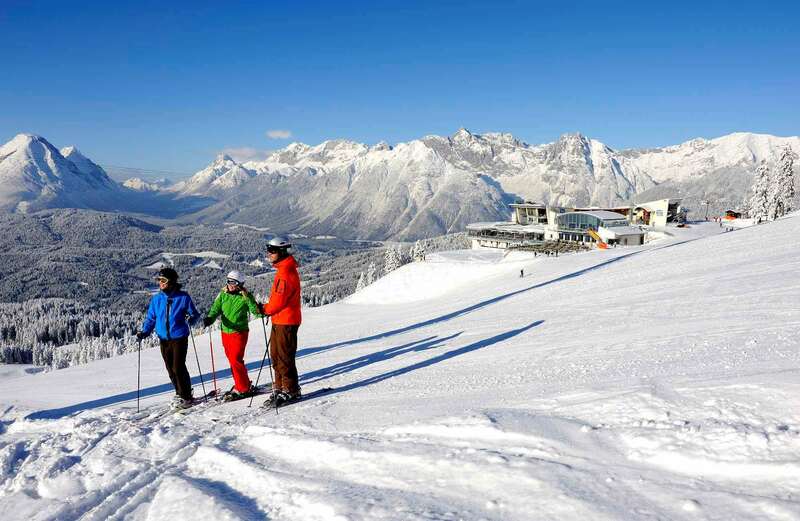 Full of Tyrolean charm, this small, family-run hotel is situated in a quiet and elevated position overlooking Seefeld. The friendly Binder family provide a warm welcome to all guests and will ensure you are well looked after. The whole hotel is non-smoking. Hotel is also available on Bed & Breakfast at a reduction. 8 minutes’ (300m) walk to the Rosshütte funicular, 20 minutes’ walk to the resort centre. Larger Austrian twins have bath or shower, some have balcony or seating area. All rooms are traditionally furnished and have radio and hairdryer. Good home-cooked 3 course evening meal with choice of main dish plus salad buffet.